Security fasteners aren't very secure if the bits can be purchased in retail locations. To keep thieves at bay, controlled keyways are essential. 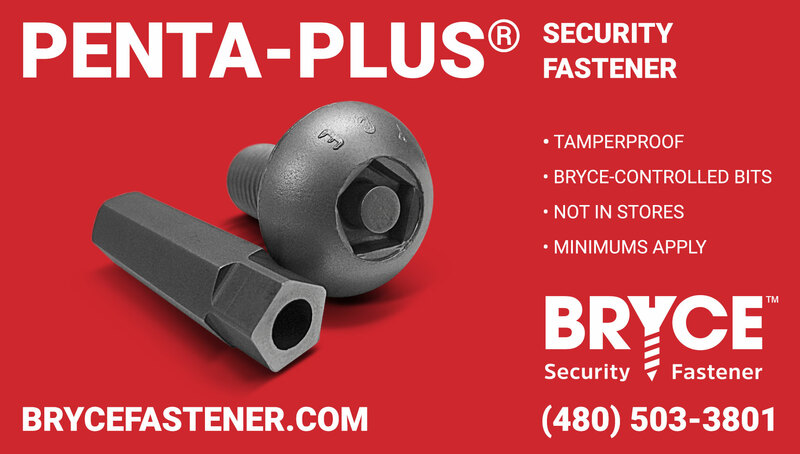 Penta-Plus® features a keyway that's exclusively controlled by Bryce Fastener, which means thieves won't have access, no matter which of the drivers they try from their store-bought security bit sets. Great for high-value applications like securing critical infrastructure and electronics in open areas, the fastener can be improved further by adding torque and grip with the Raptor™ claw gripping serrations. The only thing better? A unique-to-you keyway in a Key-Rex® fastener.